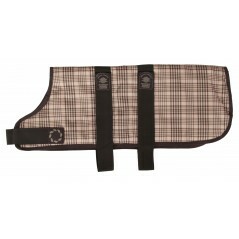 A Brown Padded Check Dog Coat with velcro fittings. 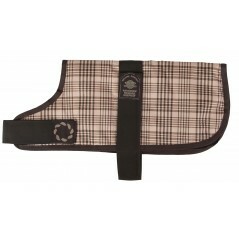 This warm padded coat is Waterproof, Windproof..
A Brown Padded Check Dog Coat with velcro fittings. This warm padded coat is Waterproof, Windproof a..
A Lilac Tartan Dog Coat with velcro fittings. 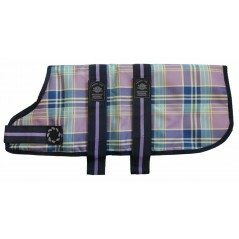 This warm padded coat is Waterproof, Windproof and W..
A Lilac Tartan Dog Coat with velcro fittings. 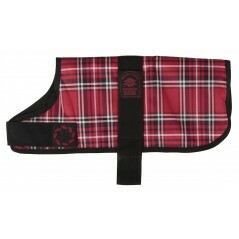 This warm padded coat is Waterproof, Windproof and Was..
A great addition to our 'Breathe-Comfort' range of padded dog coats. This bright, attractive, woven ..